Selling Skills Assessment Tool (SSAT) is a tool designed to provide an objective evaluation of the sales people in your organisation. SSAT provides insight essential to successful consultative sales, including strengths and specific areas that need improvement within the 5 aspects of the sales process. 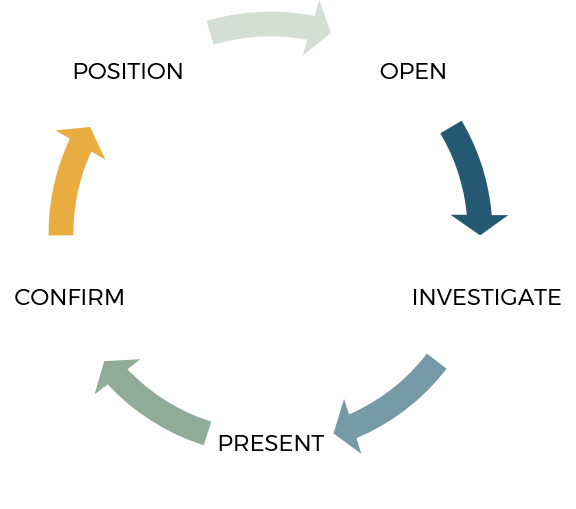 SSAT is an online survey that contains 25 targeted, scenario-based questions covering the 5 steps of the sales process. SSAT gives you an objective look at strengths and identifies areas that need improvement. Available in multiple editions tailored to your sales structure and industry, the SSAT provides a detailed, accurate quantification of selling abilities across your sales organisation at an individual, team and company-wide level. Explores how to build trust and credibility by setting verbal agendas, handling early objections and managing client expectations. Examines how to accurately assess the situation and uncover client’s needs through strategic questioning, listening skills and the examination of their decision making criteria. Encompasses how to link your capabilities to the client situation through strategic value articulation, differentiation and the appropriateness of your solutions. Uncovers how to ask for the business, handle objections, gain agreement and win the business, even when there are multiple decision-makers. Focuses on how to build long-term customers for life, including referral strategies, cross selling and customer relationship management. SSAT helps you quantify and improve the skills needed to execute a successful customer-focused and consultative approach to selling, manage a high-performing sales organisation, assess the areas of strength and weakness within your organisation, and then train your sales forces to master those skills to achieve better sales results. Supported by the data provided by SSAT we offer sales training (Customer-Focused Selling) to enhance the skills of your workforce. 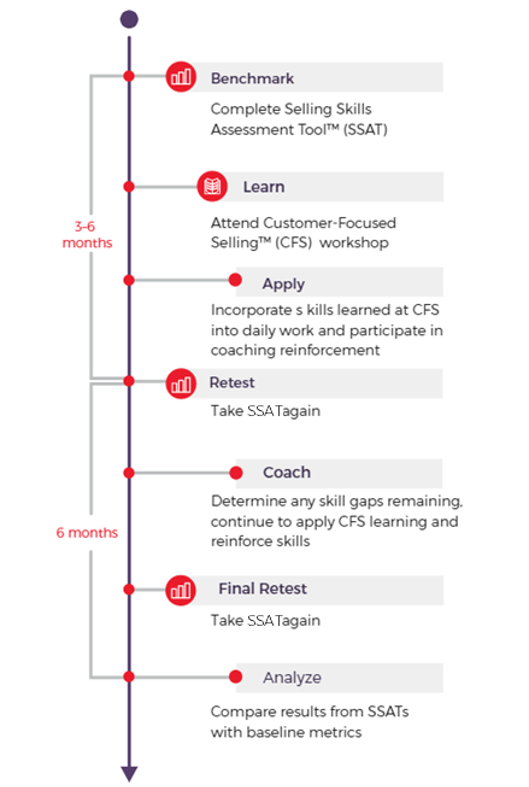 Learn more about the sales training workshop 'CFS' and how this training improves sales performance. CURIOUS TO ASSESS THE SKILLS OF YOUR SALES FORCE? try SSAT now.